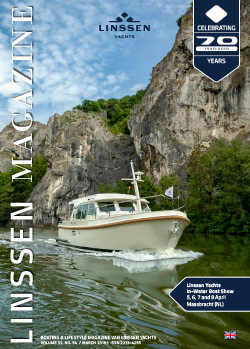 Are you familiar with the unique Linssen-Variotop®? Come and discover this unique series of yachts during the Linssen Variotop® week from 20 to 25 May. The Grand Sturdy 500 AC Variotop® is ready for a trial run in our marina and the Grand Sturdy 450 AC Variotop® is in the final production stage. We would also like to introduce you to the Grand Sturdy 475 AC Variotop®, the very latest yacht in this series, which can also be seen in production.